Number 5 Type Collection: Poll: Which Game Set Would You Play? I'm revamping my software coding skills and itching for a project. I've long thought about converting vintage game-themed baseball sets into playable online versions, so fans and collectors could spin through games on the web instead of doing responsible things with their time. But the $64,000 question is...which set first? Check the list below and cast a vote to push me in the right direction! 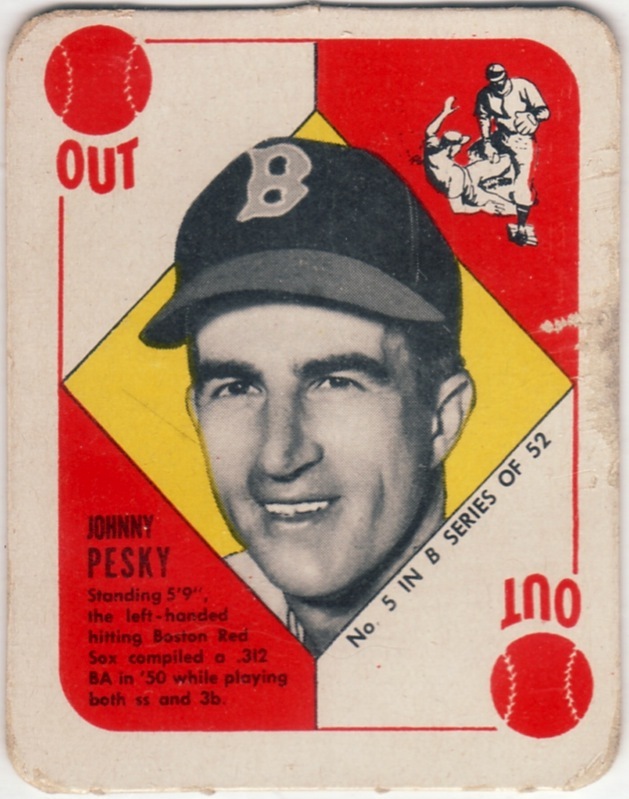 Topps began mass-producing baseball cards with this pair of game sets. They're not hard to find today, but few collectors risk the condition of either batch of 52 players by riffling, dealing, and flipping them competitively. DIFFICULTY: Easy to find scans of all 52 cards and uncomplicated results ("OUT") make this one straightforward. 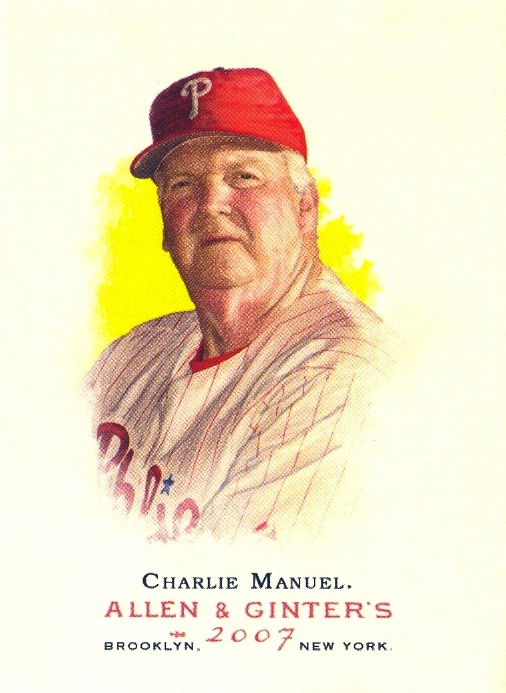 17 years later, Topps made a second trip to the well with this "floating head" design that now reminds me of Allen & Ginter. DIFFICULTY: Easy to find scans of 1968's 33 players, but extra game situations like "Double (all runners score)" make this a bit more work than the 1951 version. 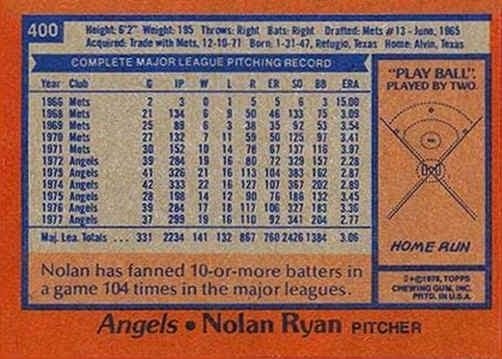 This 792-card set moved its game to the back, a nice bonus that didn't interfere with face space on the front. DIFFICULTY: It would take a bunch of time to collect the scans, but game logic is straightforward and similar that seen in 1951. I dug into the history of Goudey's Knot Hole League and related promotions in late 2013. The text-only set's not much to look at, but remains interesting as an artifact of its era. 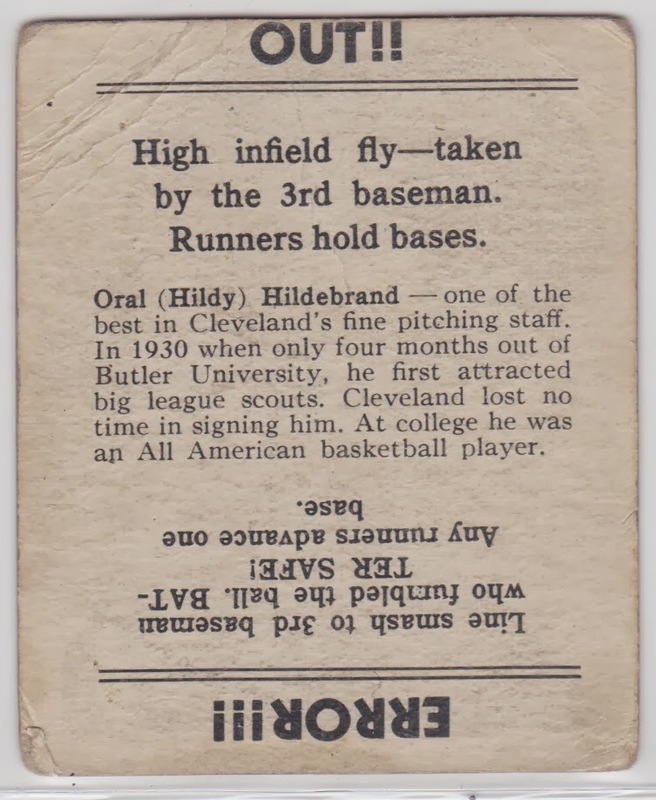 Should be fun to combine with players and situations from 1936's Big League Gum. DIFFICULTY: Knot Hole League is obscure and finding all 24 scans online is tough, given low collector demand. It's not hard to put together a Big League Gum set, so starting with that and adding some of the score cards might be easier than Knot Hole League alone. 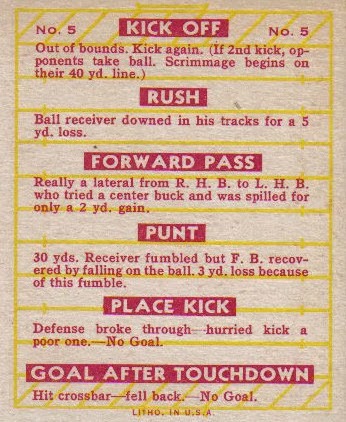 A close cousin that predates Goudey's Knot Hole League (and also mentioned in its profile), this text-only football set's so rare that I hadn't seen a real card until 2013. This one's especially interesting for its glimpse into 1930s football plays, positions, and rules. DIFFICULTY: I've found scans for half of the 24 cards so far. Goudey printed paper "fields" that connect with card play, but it's possible none survive in the modern marketplace, so I'd need to create my own or go without. So what would you like to play most? I'll keep the poll running for awhile and update on decision/progress. I've got to admit... I would probably pass on playing any of these games and just pick up my PS3 controller. But in terms of collecting... 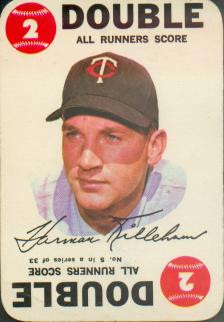 I really enjoy the 1951 Topps Blue and Red Backs. I acquired my first Red Back recently and was surprised by the size. Didn't realize they were so small. Don't think I would play any of the games. Voted for the 51 set because I've always liked the look. Just completed the Ted sox blue and red backs.